Just when you thought Snicker's couldn't get any better, snickers fudge was created. This is the perfect combination of fudge, chocolate, peanuts, caramel, and peanuts. Your friends and family will rave about this one. If the picture doesn’t make you drool, I don’t know what will. Gooey caramel, peanuts, and chocolate. What more do you need in life? I usually have pretty good self control when it comes to making desserts, but this was just too much. I found myself sneaking into the kitchen to cut off just one more little piece and before I knew it, a huge percentage of the pan was missing. Every calorie was TOTALLY worth it. So if you are looking for an amazing Christmas party dessert or just an amazing treat in general, look no further. This is all you need. what could i add instead of peanuts? If you aren’t a peanut lover, you could easily replace them. I recommend using pecans, walnuts, almond slices, or even marshmallows. You could also make this fudge without peanuts, and not replace them. We prefer the extra crunch, but we know peanuts aren’t for everyone. what is a substitute for marshamallow cream? If you are looking for a marshmallow cream replacement, here is how you do it. For 1/2 cup of marshmallow cream, use one cup of mini marshmallows, and 2 tablespoons corn syrup. Place the two ingredients over medium high heat, stirring continually until completely melted. Remove from heat, and let it set up. Use in recipe as directed, or double or triple as needed, for any given recipe. what is the best way to get a clean cut of fudge with this recipe? 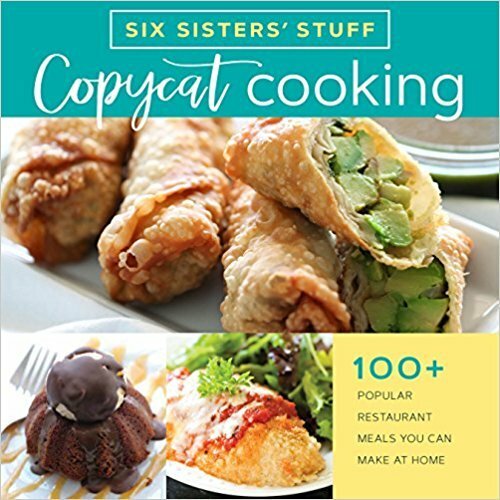 This recipe is extremely messy, if you do not let it set up. The caramel can ooze out the sides when you try and cut it, if it is not fully set up. We recommend letting it cool completely, or set up in the fridge, until the caramel hardens. After it has hardened, place a sharp knife under hot water. Slice the fudge with the hot knife. You may need to run it under hot water every few cuts, to help it cut through smoothly, every time. I then use a small spatula or fork, to pry out each square of fudge. This Rocky Road Fudge may be tied with our German Chocolate Fudge. I honestly don’t know what one is more delicious. Maybe you could be the judge of that. 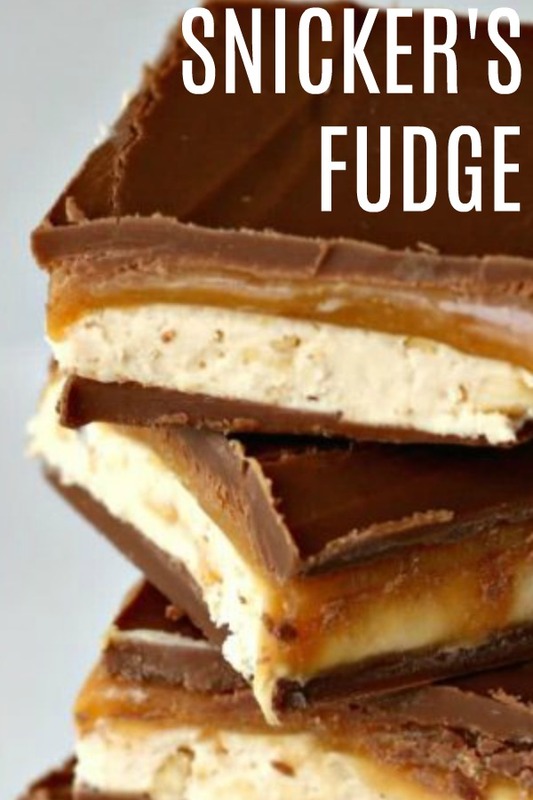 With all these delicious layers, this fudge recipe will quickly become a family favorite! Spray a 9x13" glass pan with cooking spray and set aside. FIRST LAYER: In a small bowl, combine chocolate chips and peanut butter. Heat in the microwave in 30 seconds and stir. Microwave again for 30 seconds and stir until creamy (you may need to repeat microwaving one more time). Pour in an even layer into the bottom of the prepared pan. Place pan in freezer. SECOND LAYER: In a medium saucepan, melt the butter over medium heat. Stir in the sugar and evaporated milk and bring to a boil. Cook, stirring constantly, for 3 minutes. Remove from heat and immediately stir in marshmallow crème, peanut butter and vanilla. Add peanuts and stir until incorporated. Pour mixture over the chocolate layer from the freezer and spread evenly. Place back in freezer. THIRD LAYER: Add the caramels and evaporated milk to a small saucepan. Cook over medium-low heat, stirring constantly, until caramel is melted and smooth (I have heard that you can also do this in the microwave, but I have never tried it). Remove pan from freezer and pour caramel over the second layer. Place back in freezer. FOURTH LAYER: In a small bowl, combine chocolate chips and peanut butter. Repeat microwaving intervals used for the first layer. Stir until creamy and pour in an even layer onto the top. Refrigerate for at least 1 hour and cut into squares when ready to serve (they are super rich, so cut them small! I cut about 24 pieces and they were a good size!). Keep refrigerated. These look amazing! Snickers is my husband's number one favorite candy bar. I'll have to give these a try. I just drooled on the monitor. These are very good. My receipe for these also calls for I/2 cup butterscotch chips along with the choc. chips. Also I have what they call carmel bits by Kraft company, no caramels to unwrap, just melt these tiny little bits, lots faster. Found in the choc. chip isle in our store. That looks really good and totally wicked! That looks delicious! Christmas treats are the best! Thank you for joining Home Sweet Home! I am featuring this today at Home Sweet Home! It looks amazing! Your awesome project is featured this weekend !! Do you think you could use semi-sweet chocolate chips? You could use semi sweet, but it would be a different taste than you get with milk chocolate chips. Why Do They Need To Be Kept In The Fridge? Actually mine were not fine after only a few minutes out of the freezer/refrigerator. They were a good ooohey, gooey mess but they sure did not look as pretty as the picture on this page. What went wrong? Once I cut these, the caramel fIlling oozed out and ran all over. They taste amazinh, but Inwas disappointed witH the end result.....help! Anyone else havE this happen? What wenT wrong? I had that problem as well. I am an 80 yr old Great Grampa and love baking sweet stuff and already am in love with all 6 of you sisters. Hi Ben! You just made our day! I found your recipe on Facebook, and tried it - it is(was) VERY good! Our house guest helped us eat them and we all three ate many more than we should have! This recipe is a keeper. Thanks. These were easy to make and came out delicious, but were quite difficult to cut. They were really hard when they were straight out of the freezer, and then became sort of soft and gooey once they had been out for a while. Any tips for making it easier to cut them? I had the same problem. Very gooey and messy even with keeping them in the freezer. They break down to quick after you take them out of the freezer/refrigerator. Any suggestions on how to possible make these without the 1 C of chopped, salted peanuts? I personally love peanuts but not everyone in the house does. Otherwise I may just have to make to please myself. Looks delicious! Or could simmer the caramel longer, so more moisture is gone. Or simmer hotter, so it is harder caramel. Or instead of a quarter cup of Evaporated Milk, could use a little water to mix the caramel together then the water will steam away. ( then u got plain caramel ) Or serve them from the refrigerator. Or add some flour. Or serve them in a vessel.... like diced, then dipped in chocolate. Or serve them with ice cream if u can't beat it. These were a nightmare to cut. When frozen they're too hard and when room temp they are a gooey mess. Ended up in the trash. Save yourself a lot of time and just eat a Snickers instead. I am glad I am not the only one who had the same problem and ended up with a gooey mess. Albeit a good one. I can't uses marshmallow creme or marshmallows, period. Any suggestions of what to use instead, or can I just leave it out? I made these 12-5-15, soooo good. I lined the 13 x 9 with parchment paper after greasing the pan just a teense so the paper would stay put. You do have to work fast when you spread a hot layer onto a frozen layer because that frozen layer solidifies the hot layer fast! Left them in the freezer after putting on the last layer. My kids were here too, and we'd cut off a bit, then stick them back in the freezer. They make me think of choc. covered cherries: You bite into them and you might drip something so watch it! Plus the chocolate on top and bottom melts, so you do have to lick your fingers a bit. Not a recipe to take to a party but I'll work on it. My marshmallow layer was just a bit grainy, I might have to work on perfecting that problem... But the flavor combo was WOW. I am wondering how do you measure the marshmallow creme? Also, if you put it in a measuring cup how well do you pack it in? How many ounces is 1 1/2 cups of marshmallow creme? a 7 oz. jar of marshamllow creme is equivalent to how many cups? This is a nice recipe which I want to try. Caramel chips are not available in Srilanka also what is the substitute for Marshmallow cream can we buy marshmallow pieces and melt it and add it or ??? Lovely recipy which I want to try some or other thanks for sharing. I love your recepies. I found them at WalMart. I have melted mini marshmallows in the microwave for a different recipe and it worked well...it hardens a bit more than the creme though, not sure what the outcome would be, but I'm sure it would be fine...guessing. I am going to try these in mini muffin tins with liners since there are several comments about difficulty cutting/caramel oozing. I'm making them Christmas Eve and I'll report back how it worked! I made these today. They are amazing. I had mine sitting out a bit from the freezer when I cut them then took out what I needed on a serving tray and put back in the freezer. If you cook the caramel long enough it should be runny. If anything you can always use a candy thermometer and cook to aft ball stage (which I had put making divinity today). I will definitely be making this again.